Mervyn Gregory Hughes , and Australia. Hughes started his career playing district cricket with Footscray in 1978–79. Footscray, (now called Footscray-Edgewater), subsequently has had their main home ground named after him; it is now known as the Mervyn G. Hughes Oval. He was selected for Victoria in 1981–82, and made his debut against South Australia. Hughes first appeared for Australia against India in 1985–1986. He took 1–123 and was not re-selected until the Ashes Series against England the following year. 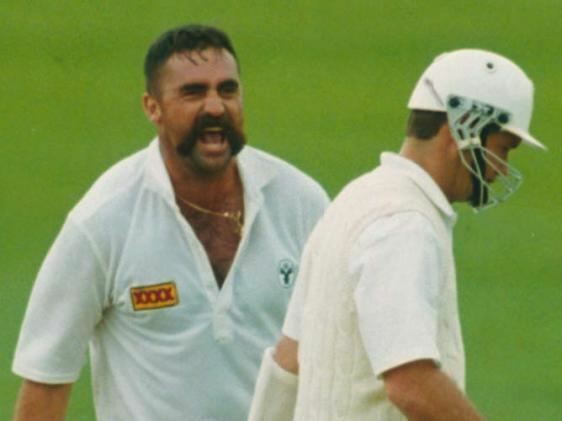 At Perth, in 1988–89, Merv Hughes completed a hat-trick spread across three separate overs and two different days. He had Curtly Ambrose caught behind with the last ball of his 36th over; ended West Indies first innings in his 37th, by removing Patrick Patterson; and more than a day later, completed his hat-trick by trapping Gordon Greenidge lbw with the first ball of West Indies second innings. Hughes was a notorious consumer of alcohol and food. Towards the end of his career, this was felt to have increased damage to his knees, and may have ultimately led to a shortening of his Australian and Victorian playing careers. Having always been rather overweight, he participated in both seasons of Channel Nines Celebrity Overhaul to lose weight and improve his fitness. He was the top performer (weight-wise) in the first season of the show. 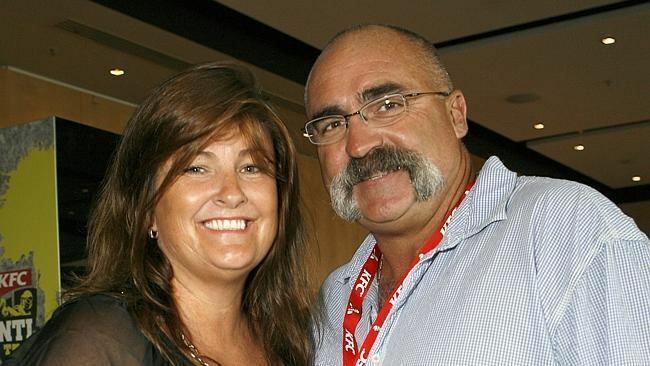 Hughes is noted for his large moustache. 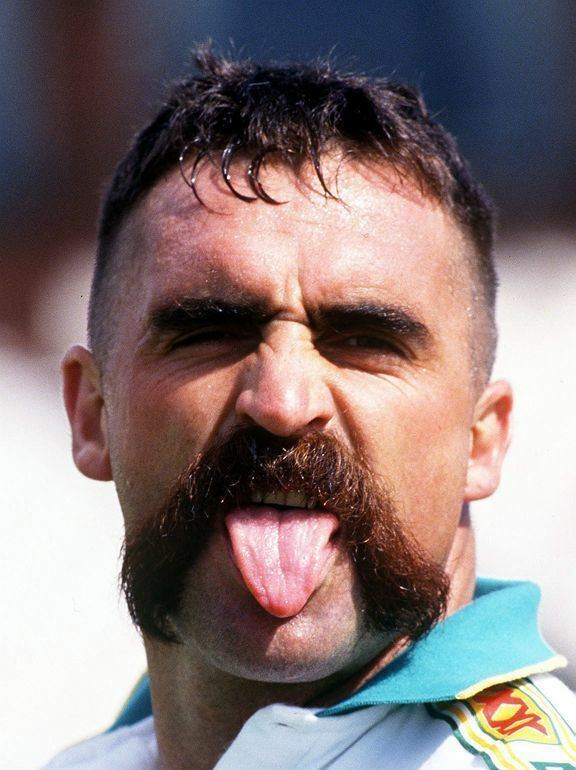 Described by Cricinfo as being "of incredible proportions", the moustache became sufficiently synonymous with Hughes for him to be rumoured to insure it for £200,000. In a 2013 Sky Sports interview during the 2013 Ashes Series, he quashed this rumour as being false.